A COOK BOOK SUNDAY SUPPER Join us in celebrating the publication of MY MEXICO CITY KITCHEN by Acclaimed international chef, Gabriela Cåmara $95 per person prix fixe menu inspired by recipes in the book $95 menu $19 gratuity $2.85 health surcharge $3.70 ticket fee $11.45 tax The author will be in house with us all evening to meet & greet and to personalize copies of their book. Cook books on sale separately. Supplemental wine pairing by Caroline Styne. Tickets are non-refundable and cannot be modified or exchanged. 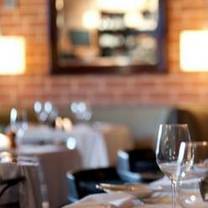 Lucques has partnered with OpenTable to provide free, secure and instantly confirmed online reservations.Learn More.